Chicago Bankruptcy Lawyer | Johnson & Johnson, Ltd.
Financial difficulties can be stressful and may negatively impact every aspect of your life. However, there is a way to handle your money issues – you can file bankruptcy. Bankruptcy allows you to rid yourself of debt so you can begin to move forward without money stress. If you are interested in learning more about the criteria you should speak with a qualified Chicago bankruptcy lawyer. An experienced Chicago bankruptcy lawyer knows bankruptcy law and will examine your financial situation to help you determine how to proceed. To begin, it is a good idea to understand the way bankruptcy works. Bankruptcy is a legal method available to resolve debt problems and provide a fresh start. Bankruptcy is often a good option for those who are deep in debt and do not see a way to easily get out of it. Many times, filing for bankruptcy will allow you to get out from under financial troubles and begin anew. 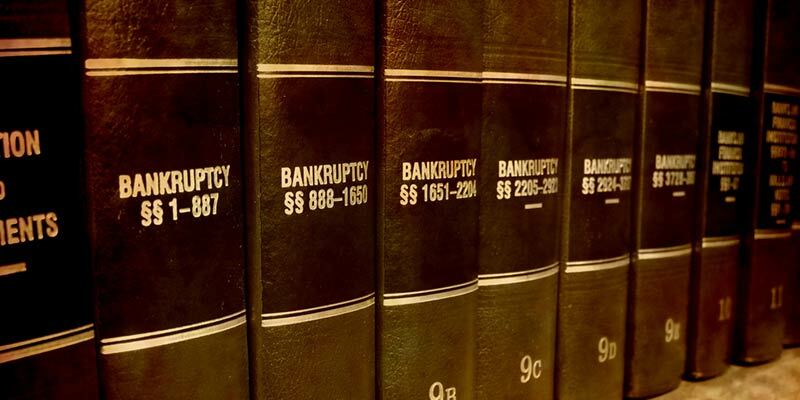 There are two main types of bankruptcy for individuals including chapter 7 bankruptcy and chapter 13 bankruptcy. Each type has different qualifications so it is best to discuss your particular needs with a qualified Chicago bankruptcy lawyer. Your Chicago bankruptcy lawyer will explain that the type of filing that is best for you will depend on many factors including how much debt is owed and whether your current income allows you to get on a repayment plan. These and other criteria will help you decide which proceeding is best for you. Chapter 7 bankruptcy is designed for people who are not employed or who are not able to make regular monthly payments. In this type of bankruptcy your possessions and assets will be liquidated to repay your debts. This may be the strictest type of bankruptcy, however, for those in deep economic trouble, it may be the best solution possible. While chapter 7 requires you to sell many of your assets, your Chicago bankruptcy lawyer will help you keep your car, your furniture, and possibly your home. Because you may lose at least a portion of your property, you should discuss this option with a Chicago bankruptcy lawyer before making any decisions. Chapter 13 bankruptcy is most appropriate for those who are working and able to make monthly payments. As your Chicago bankruptcy lawyer will explain, your debts will be consolidated so that you will make just one affordable payment each month. Part of the process of filing for this type of bankruptcy requires you to complete a bankruptcy plan. Your Chicago bankruptcy lawyer will draft a repayment plan that details your debts so you can be sure that you are able to make affordable monthly payments. You may also be required to attend a financial planning workshop. This helps you as you move forward, so you will not be apt to fall back into debt. Some or all of these advantages may apply to your case. Find out more about the specific ways filing for bankruptcy can help in your situation by talking to a skilled Chicago bankruptcy lawyer. When you are in deep debt, the future can look bleak. You may not be able to picture yourself with a home, a car, and the nice possessions that you deserve. In fact, filing for bankruptcy can actually protect your future finances. It provides you with a fresh beginning so that you can begin to rebuild your credit. Your Chicago bankruptcy lawyer will explain that many people may immediately begin to get credit card offers once they file. However, you should always be careful so that you do not get back into debt. Take precautions to ensure that you live within your means so you can be relatively free from debt in the future. A Chicago bankruptcy lawyer will guide you through the process, making it as easy and pain free as possible. There are many questions you may have to ask a Chicago bankruptcy lawyer before you file for bankruptcy. The process of filing for bankruptcy is not difficult, but there may be some financial complications and implications for the future that you should consider before you move forward. A qualified Chicago bankruptcy lawyer will examine your finances and discuss your options in detail. This will put your mind at ease in order to make the choice to proceed with bankruptcy. Bankruptcy can certainly be a viable solution to your money woes, but it is best to have some professional guidance from a skilled Chicago bankruptcy lawyer. The skilled Chicago bankruptcy lawyers at Johnson & Johnson, Ltd. have more than 35 years of experience working with bankruptcy clients in the Chicagoland area. We understand how stressful your dilemma may be and take steps to provide you with the best and most accurate information to help you resolve your debt problems once and for all. Our law firm is highly skilled at working with all types of bankruptcy filings so you can be assured that you have the best options available to you. Contact Johnson & Johnson, Ltd. today to begin the bankruptcy process by speaking to a Chicago bankruptcy lawyer.